Diamond Estates has been an ever-evolving entity on the Niagara wine scene but is now starting to put the pieces together in a consolidation that makes it easier to understand the various brands and just how exactly they all fit under one umbrella. Diamond Estates Wines & Spirits Ltd. was formed in early 2000 by combining Boka Wines & Spirits Ltd. of Toronto with the acquisitions of Birchwood Estate Wines and Lakeview Cellars Estate Winery from Niagara. Founders Andrew Green and Murray Marshall had known each other for years through amateur baseball and that inspired the name Diamond. The tasting room at Diamond Estates at the former 20 Bees Winery. Diamond represents a large (and still growing) stable of international wineries and has recently expanded to include an export business. In Niagara, Diamond has rebranded to be called Diamond Estates — The Winery, the former 20 Bees Winery, purchased by Diamond a few years ago. It has consolidated all the various Niagara wineries it has purchased into the Niagara Stone Road facility, keeping only De Sousa, on Quarry Road in Beamsville, as a standalone property. Diamond makes about 400,000 cases of wine from its various brands — including 20 Bees, Dan Aykroyd Wines, FRESH Wines, Lakeview Cellars, Sundance Wines, Hat Trick, and EastDell (that winery, but not the brand, was recently sold to Mike Weir Wine) — at the Niagara Stone Road property and sells the wines from a tiny tasting room, a trailer, really, built on the site to originally sell the 20 Bees wines. 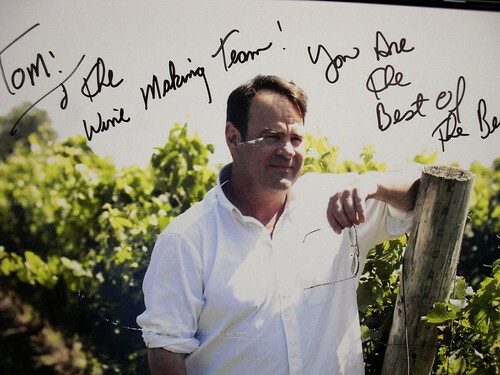 A photo of Dan Aykroyd hangs in the tasting room. Diamond owns about 100 acres of vines but purchases most of the grapes it needs to feed the various brands. 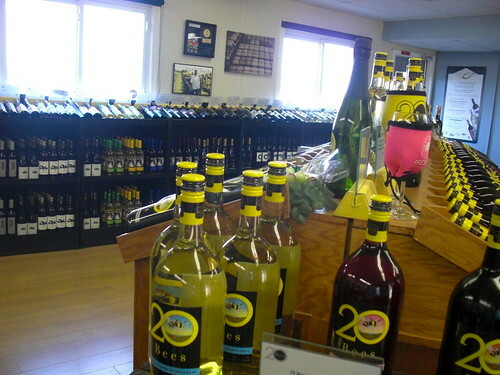 It is the third-largest selling VQA producer at the LCBO, behind only Pelee Island and Vincor. But while the prodigious producer sells most of its wines in the $15 and under category, it does have a very interesting portfolio of reserve wines that are only available at the Niagara winery. For example, Kerner is a rarely grown white grape, which Lakeview has been making into a crisp, dry style for years. Inniskillin grew some Kerner years ago, and Klaus Reif makes one, but, in Inniskillin’s case, it just didn’t catch on with consumers. Tinhorn Creek in the Okanagan makes a popular icewine out of the grape. But beyond that, Kerner gets very little attention. Which is a pity, really, because it makes a delicious wine that matches well with fresh grilled fish. 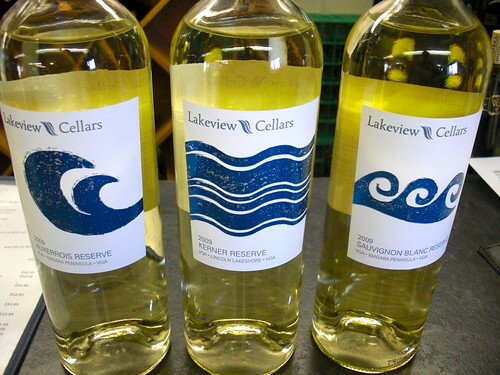 Lakeview, as well, makes an Auxerrois white wine that is also a rarity in Ontario. There’s also the top-tier Dan Aykroyd wines, and late-release Lakeview reserve wines that should not be overlooked by consumers. Vice-president of winemaking at Diamond, Tom Green, really gets to show his artistry in the winery with his small lot collection of non-LCBO wines. And it’s clear he chooses to only release wines after they have been properly aged. He’s just now releasing his reserve reds in the top tier wines and, in some cases, like the reserve Chardonnays and Baco Noir, is releasing the 2006 vintage just now. 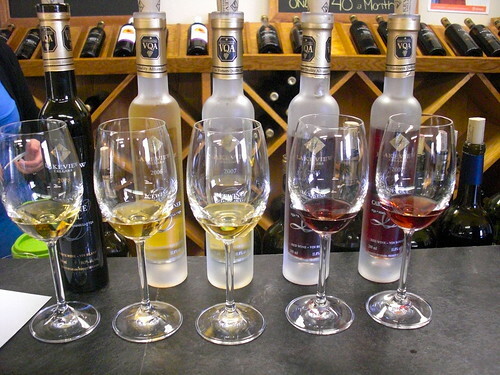 There is also an extensive portfolio of icewines, across a full spectrum of varieties, with many late-vintage examples that are on hand to purchase at the site. Lakeview Cellars Sauvignon Blanc Reserve 2009 ($15, 87 points) — A grassy nose with grapefruit, kiwi and tropical fruit notes. It’s fresh with plenty of acid and citrus zip on the palate and a moderate amount of those grassy-kiwi notes. Nice summer sipper. 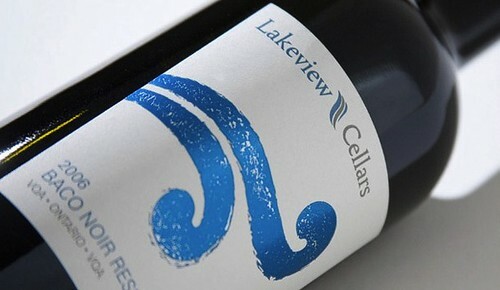 Lakeview Cellars Kerner Reserve 2009 ($15, 87 points) — A bright nose of citrus, lime, blood orange and marmalade. The fruit is juicy on the palate with very unique flavours of grapefruit, Clementine, a hint of spice and a note of sweetness all balanced out by good acidity. Pair this with fresh grilled fish and a squirt of lemon or mild cheeses. Lakeview Cellars Auxerrois Reserve 2009 ($15, 86 points) — While on the subject of different grapes, here’s another unusual variety, which originates in Alsace. This white wine shows ripe, tropical fruits, mango, banana and apricots on the nose. It’s a full fruit attack in the mouth with a wide range of tropical fruits and melon flavours. It’s soft and round with medium acidity. 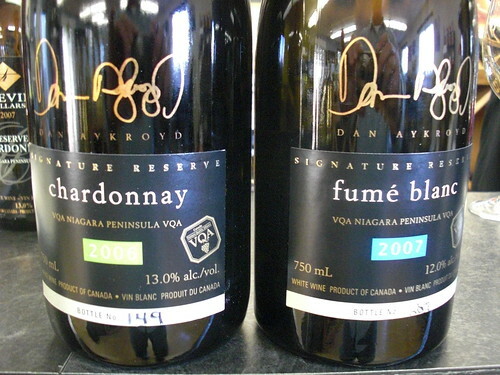 Dan Aykroyd Signature Reserve Fume Blanc 2007 ($30, 86 points) — Made in very small batches with each bottle in the Signature series numbered. This is a barrel-aged, fully mature sauvignon blanc from a hot vintage that should be enjoyed now. The nose is quite interesting with sweet vanilla, toffee, toast and citrus-tropical fruits underneath. It’s round and fleshy on the palate with moderate acid, mature tropical fruits, caramel and spice notes. Dan Aykroyd Signature Reserve Chardonnay 2006 ($30, 90 points) — Simply gorgeous Chardonnay tasting at its peak right now. The wine sees 24 months of oak aging in a combination of French and American wood. It’s fully integrated with lovely aromatics of poached pear, warm apple pie, cloves, butterscotch and vanilla toast. The lush pear-apple-tropical fruits are balanced with good acidity and toffee-vanilla flavours through the finish. A treat. Lakeview Cellars Baco Noir 2006 ($20, 90 points) — A great opportunity to enjoy a fully-mature Niagara Baco that’s had the benefit of two years of oak barrel aging. The smoky nose shows aromas of bramble, black raspberry and sweet cherry. It’s juicy and vibrant on the palate with ripe red fruits and a defining note of dark chocolate and spice. Lakeview Cellars Syrah Reserve 2007 ($30, 91 points) — A classic Syrah with a roasted meat, blueberry, cassis, campfire smoke, and spicy-peppery nose. This ripe and interesting Syrah shows a range of fruits — blackberries, currants, cassis — to go with a baker’s range of spice, pepper, ripe tannins, structure and length through the finish. Drinking great now with more potential in the bottle. 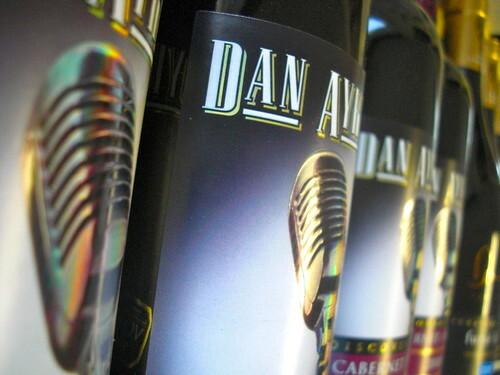 Dan Aykroyd Signature Series Cabernet Sauvignon 2007 ($35, 88 points) — Lovely nose of loam, plums, blackberries, cocoa and clove-nutmeg spices. The wine in the mouth shows a firm and structured backbone with the fruit to back it up. Ripe black fruits mingle with an array of interesting spices, oak and the stuffing to improve for another five years. 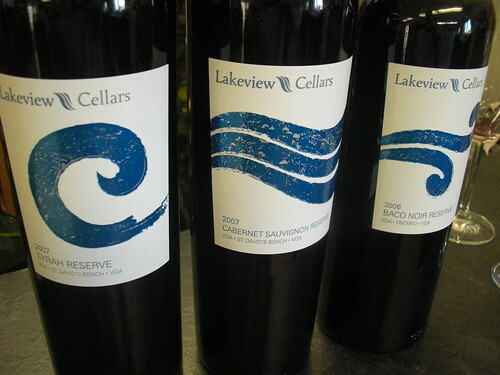 Lakeview Cellars Starboard 2005 ($23 for 500 Ml, 88 points) — A fabulous Port-style fortified wine made with 100% barrel-aged Cabernet Sauvignon grapes and finished with 19% alcohol. I love this wine with its aromas of kirsch, sweet black currants, raisins and raspberry compote notes. The fruit is highly extracted in the mouth with more sweet red fruits dominating and a lovely chocolate note on the finish. Can age this for a long time or enjoy now. Lakeview Cellars Cabernet Sauvignon Icewine 2006 ($30 for 200 Ml, 91 points) — Sweet kirsch, blackberry, plum pudding and raspberry jam notes to start. It’s a nicely aged icewine with concentrated red and dark fruits, spice and a touch of roasted nuts through the finish. Good acidity puts this sweet elixir into balance. Lakeview Cellars Riesling Icewine 2007 ($38 for 375 Ml, 92 points) — A mature and glorious sweet wine with the full spectrum of tropical fruits, apple, peach, honeycomb and a whiff of citrus. It’s fleshy, yes, a product of the vintage, but still shows harmony between rich, textured sweet fruit, honey and acid. Thrilling wine. Lakeview Cellars Gewurztraminer Icewine 2006 ($30 for 200 Ml, 91 points) — Another fabulous icewine that’s drinking perfectly right now but has more cellar potential. The nose shows layers of sweet grapefruit, lychee, ginger, mango, candied lemon and exotic spices. It’s a lower acid wine, but attractive for its unique ginger spices, honeycomb and combination of lychee, grapefruit and canned peaches. A beauty. Dan Aykroyd Discovery Series Cabernet Franc Icewine 2007 ($26 for 200 Ml, 90 points) — A mature icewine with extracted strawberry, cherry, raspberry and sweet currant aromas. I love the fully integrated flavours on the palate including red jams, roasted brown sugar, almonds and tasty spices. Ready to drink now. Dan Aykroyd Discovery Series Vidal Icewine 2007 ($30 for 375 Ml, 89 points) — A nose of lemon meringue, peach, apricot, honey and lush tropical fruits. This is a well-rounded, medium acid wine that’s showing mature, nutty and integrated fruit notes on the palate in a super-sweet style that would be such a treat with savoury foods such as foie gras. Dan Aykroyd Signature Series Vidal Icewine 2005 ($40 for 375 Ml, 92 points) — A great opportunity to enjoy aged icewine at the top level. It has an appealing deep amber colour in the glass and a nose that’s bordering on fine sherry to go with highly extracted peach-apricot fruits, marmalade and soft spice. It’s so lush and complex on the palate, with warm caramel and cane sugar notes to go with layers of exotic and ripe tropical fruits. A beautiful thing. Hat Trick White 2009 and Red 2010 ($13, LCBO late January or winery now) — The Hat Trick Red and White wines celebrates Canada’s long and rich history with hockey. Proceeds from each bottle of the Hat Trick wines go right to the NHL’s Alumni Association to support various charitable causes and promote the game of hockey. The white version of Hat Trick (86 points) is a blend of Gewurztraminer, Chardonnay and Riesling with a nose and palate of fresh citrus, apple and tropical fruit in a dry and crisp style. The Hat Trick Red (85 points) has a ripe berry nose with a touch of spice. It’s juicy and ripe on the palate with a smoky note on the finish.